When I started working on Credo two years ago, it was small. In the first month the site generated 6 SEO/digital marketing projects. Now, we do that in two days. While Credo has been through some major changes over the last couple of years, one thing has remained consistent: our commitment to only high quality vendors on the site. That continues to be our main goal – send great digital marketing projects to the best agencies and consultants around. I’m going to briefly outline what this means and doesn’t mean. If you’re interested in Credo traffic stats and project volume, you can find those at the end of this announcement. One thing we have learned over the last two years is that a monthly membership is not right for everyone. If you are a solo consultant, then you likely only take on a new client every 2-3 months. Paying monthly just does not make sense for you. Similarly, sometimes agencies run into periods where you are not taking on new clients. During those times, a monthly membership does not make sense for you either. From a business side, it makes sense for Credo to list as many agencies and consultants as possible who do good work, and not just the ones who can justify paying us at the time. It lowers overhead for us which means we can spend more time generating new projects. We want to be the place for people to come to find a marketing provider and know who is good. 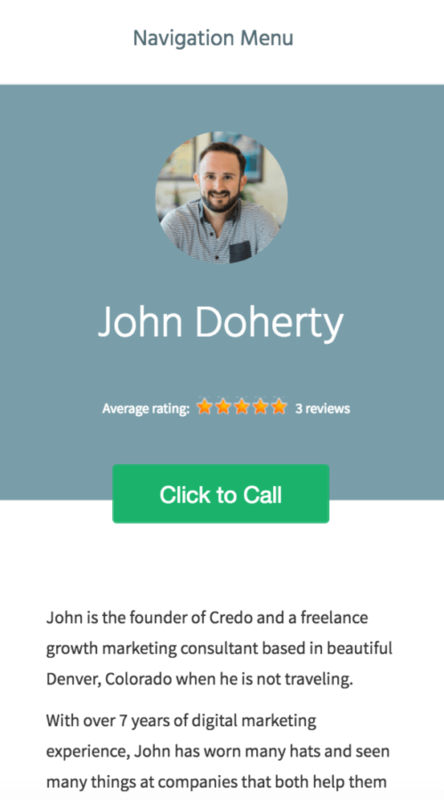 A profile live on Credo. You define your hourly rate, monthly minimum, services you offer, and types of businesses you do work for. A contact form on your profile on desktop, with a Click to Call option on your mobile profile. 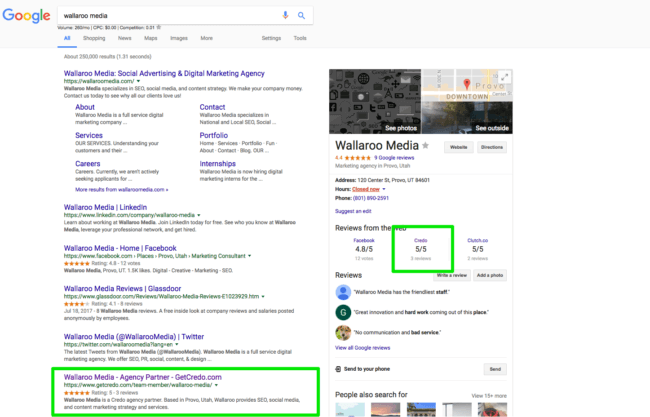 Ability to have your current clients come leave reviews on your profile, which show in the search results. Get on average 2-4 leads a year through your profile. We do not guarantee that you will receive 2-4 leads a year, but that is on average how many profiles get. Our average project is worth $6,000, so if you close one or two each year it is well worth your money. 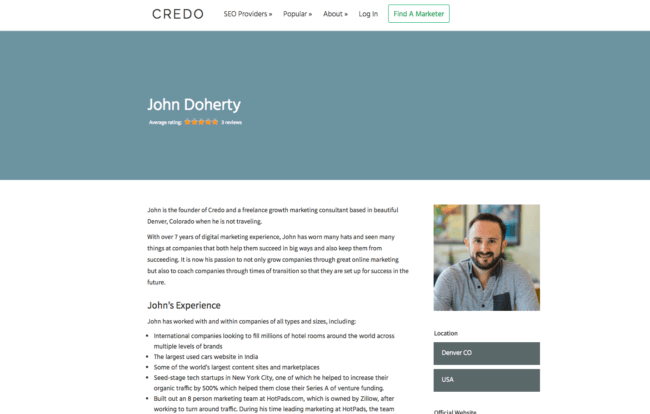 Credo will not make direct introductions to prospective clients for you. Credo will not follow up with potential clients who contact you through your profile to see if they signed with you. Credo will not get involved in any potential issues you may have with clients you get through Credo. Credo will not vet projects before they contact you. If you do want some support on your Annual Membership, we offer this separately through Clarity for an additional fee. If you’re interested in a higher level (higher retainer plus commission on closed work), email us hello at getcredo dot com to ask about it. Some people have asked us when payment happens. You do not pay anything until you have applied and are accepted onto the platform. There are no refunds for Annual memberships. If you choose to cancel and not renew for the next year, your profile will stay live until the day before your renewal would have occurred, unless you otherwise ask us to remove it. 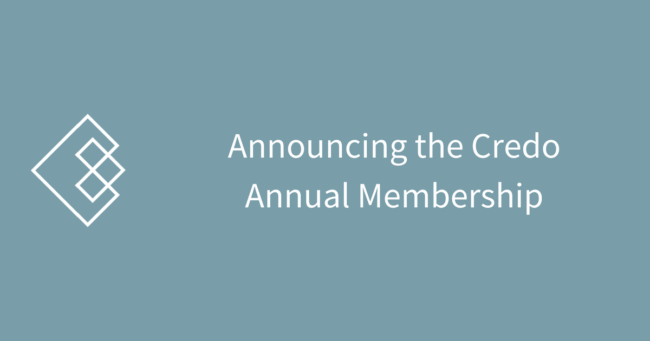 Who is the annual membership for? Are based in the United States, Canada, Mexico, Brazil, Costa Rica, UK, Ireland, Scotland, Australia, or New Zealand. Contact them to leave a review on your profile. Have a project or monthly minimum of $1,000 or more. Credo cannot at this time accept service providers from any countries other than the ones listed above because the projects coming to Credo are largely United States and UK based. The overhead to vet providers in other countries is simply too high for us right now, and only having US/UK/Canada and a few others is a differentiating factor for us. This is paid at the time of signup and renews annually. Fill out the needed information here. The next steps to join will be included in that email. In total, we’ve sent over $6,000,000 (yes, million) of work to pros on our platform. 2,000,000 of that has been in the last 8 months. In August 2017 we sent over $400,000 alone and we are on track to send close to $700,000 in September itself. Our goal is $1,000,000 in work sent by the end of this year.